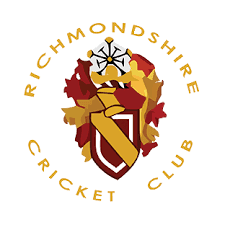 Richmond U13s finished their Hambleton Lg season with a defeat, and a familiar tale of a decent bowling performance followed by a below par batting display. Bowling first we restricted them to 92-4, with all 10 bowlers doing well. There's been real development in many of the bowlers this season, which has been great to see. Will Mawer (2) and Tom Van Niekirk (1) were the wicket takers and Tom and Alex also combined for a good runout. But we let Thirsk off the hook, dropping both of their top scorers early in their innings, costing us 50+ runs. In reply, a couple of careless shots and a calamitous runout (another story of our season) finished off our top order before they'd started. Then some real "Willpower" from messers Arnold (20) and Sharp (19) repaired the damage and gave us a good chance of a win. But the late order was blown away by some good straight Thirsk bowling and we finished 78-9.